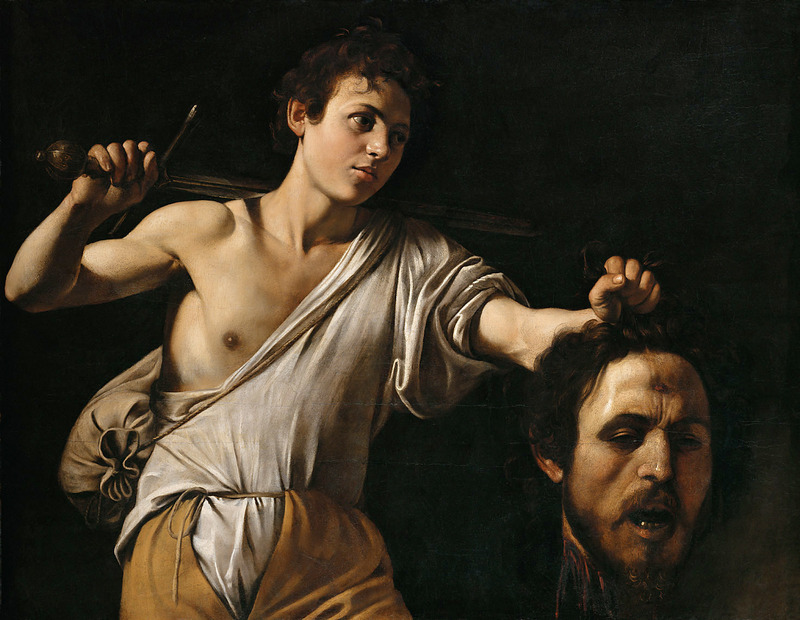 Caravaggio The David with the head of Goliath from the Kunsthistorisches Museum in Vienna is one of those paintings that have long made people talk. The dubious attribution, in fact, has for a long time been linked not to the name of Caravaggio. But it was rather linked to the School of the Painter and so recorded from the first inventory of the Empire in which the work appears in 1718. 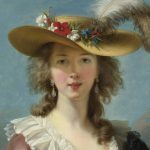 The in-depth studies carried out in the middle of the last century and the great 1951 exhibition in Milan on the artist’s work, however, dissolved any doubt and made evident the paternity of this masterpiece. First of all, the total autonomy of Caravaggio has been confirmed. An artist who, as we know, having a daring and wandering spirit has never had a school in the strict sense, but only admirers and followers of its style. Moreover, thanks to a thorough study of the work through X-ray analysis it has been understood why the painter has chosen to realize a horizontal and not a vertical artwork. In comparison to the best-known version of the same theme preserved at the Galleria Borghese in Rome. Usually, in fact, the themes closest to the sculptural representation were elaborated on a vertical canvas or table. Caravaggio, however, in this case, is forced to use its support horizontally. This happens simply because it is a reuse table, on which there was a work attributable to a mannerist style of a little earlier. This is, however, one of the rare occasions when he does not choose the canvas for his oil. Another element of doubt emerged is linked to the composition of the work. This version sees on the left a young David almost incredulous, not aware of his heroic deeds, but still firm and decisive. With one hand he holds the giant Goliath’s head from the expression of composed and resigned pain. The version of the Galleria Borghese appears, instead, more rigid but also more balanced. The head of the giant does not unbalance the figure of the young David and the arm seems to hold it tightly, quite the opposite of the Viennese version. A work, in any case, with a fully Caravaggio style, which removes any doubt in the use of the contrast between light and shadow, between light and dark. A typical work of Caravaggio for the dark background and the full light, balanced, laid. Almost real. In the paintings by Caravaggio, there are light effects. I do not know where the switch is.